Hendry, Tom. "Playwrights Guild of Canada". The Canadian Encyclopedia, 16 December 2013, Historica Canada. https://www.thecanadianencyclopedia.ca/en/article/playwrights-guild-of-canada. Accessed 24 April 2019. The Playwrights Guild of Canada had its organizational genesis as part of a week-long meeting held by CANADA COUNCIL theatre officer, David Gardner, in 1971 to discuss the obstacles facing English-Canadian playwrights. The Playwrights Guild of Canada had its organizational genesis as part of a week-long meeting held by CANADA COUNCIL theatre officer, David Gardner, in 1971 to discuss the obstacles facing English-Canadian playwrights. Present at the meeting were playwrights Carol BOLT, John Douglas, Jack Gray, Tom HENDRY, Jean Morin, Len PETERSON and George RYGA, producers Marc Gélinas and James de B. Domville, then-agent Suzanne Finlay, Peter Hay, whose Talonbooks was the only consistent publisher of Canadian plays, and Arthur Ballet, a script development specialist for the US's O'Neill Foundation. A key recommendation among several the group identified in A Strange Endeavor, its report to the Council, was to establish an English-language play publication house -- a Canadian non-profit equivalent to Samuel French (UK) and Dramatists Play Service (US). These two established organizations then distributed scripts and collected royalties in Canada but carried almost no scripts by Canadians in their catalogues. Bolt, Hendry and Peterson established a group, the Toronto Playwrights Circle, to obtain funding for a publishing house dedicated to Canadian scripts. Canada Council's then-current budget was committed and prospects looked bleak. However, with a $65 000 grant from the federal Local Initiatives Program (LIP), the hastily named Playwrights Co-op of Canada was founded in January 1972. 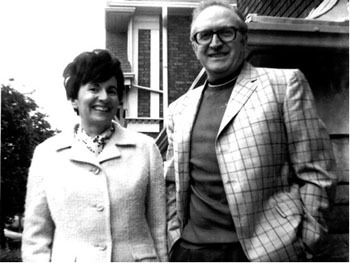 Under its first director, writer/editor Daryl Sharp, the Co-op began publishing and distributing new Canadian plays in typescript format at the rate of 2 per week. During the first decade, Sharp was succeeded by Shirley Gibson, of House of Anansi, who launched publication of in-demand scripts in paperback format, established the Co-op as the negotiating agent for Co-op members, and used her considerable credibility to smooth and complete the transition from LIP to Canada Council funding. In 1977 the Co-op backed the formation of the Guild of Canadian Playwrights (GCP) to take on agenting programs and to work towards improving working conditions for playwrights and their status in productions. In 1979 the Co-op restructured itself as Playwrights Canada, Inc. (PCI), a non-profit arts service organization. In 1982 Playwrights Canada amalgamated with the Guild to become the Playwrights Union of Canada (PUC). While this merger increased membership, the majority of the organization's energy continued to be devoted to publishing and communications -- the latter carried out through the newsletter CanPlay. Despite the best efforts of directors Jane Buss and later Gay Revell, areas of concern between playwrights, funding bodies and theatres remained unresolved. In 1991 Angela Rebeiro began her 11-year tenure as executive director. Under Rebeiro, publishing, sales and distribution of plays more than quadrupled. Basic services such as contractual advice and touring arrangements were maintained. Members were cajoled into joining programs such as Public Lending Rights and CanCopy. Despite these efforts, the activist Guild aspirations and the successful Co-op publishing programs did not co-exist comfortably. In April 2002, PUC split amicably into two organizations -- the activist PUC, as the inheritor of necessary and valid Guild professional aspirations, with Amela Simic as executive director, and Playwrights Canada Press Inc., a wholly owned PUC subsidiary under Angela Rebeiro that concentrated entirely on the publishing and distribution capability so necessary to playwrights. In October 2002, PUC was officially renamed the Playwrights Guild of Canada. This restructuring initiated a fourth decade of institutional activities designed to support Canadian dramaturgy and eventually ensure Canadian playwrights a living wage.